The P360EX is one of Fiilex's most versatile lights, combining power, portability, efficiency and durability all in one package. 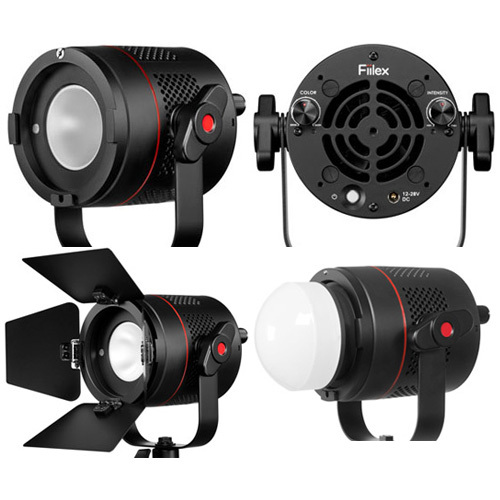 The P360EX provides a 400W equivalent output and it is both dimmable and colour tunable between tungsten and daylight. 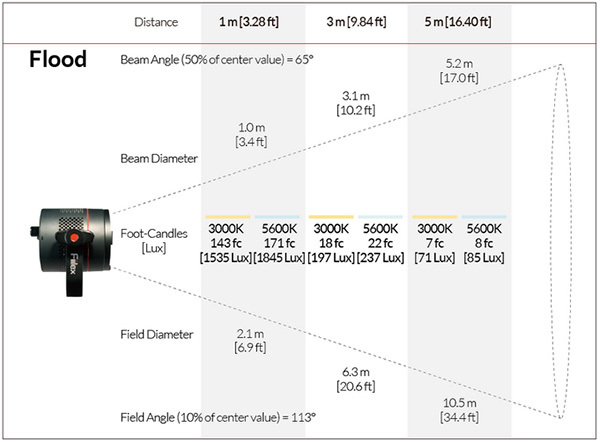 The LED's high CRI (>93) makes your colours look natural and vibrant, and an optional DMX Connection Box conveniently incorporates the light in your set-up for centralized control. The P360EX is extremely portable and runs on broadcast batteries as well as AC power, offering greater flexibility when you need to shoot on location and away from power outlets. A durable light with an IP-24 rating, the P360EX works reliably in heavy rain, freezing cold, and high humidity and its solid state technology eliminates travel concerns over broken bulbs and fragile parts. Lightweight, powerful, and easily modifiable, the weather-enhanced P360EX gives you an intense light that excels under any conditions. Meet Michael Becker, a still photographer who shoots entertainment portraiture for shows such as American Horror Story: Freak Show. Watch as he tries out the P2Q Converter, getting beautiful, concentrated bursts of light in his shots. The P360EX redefines what is possible in an LED light. It is powerful, efficient, and durable, working just as well in the studio as it does in the elements. Engineered to offer users a comprehensive lighting system, the P360EX is the ideal light for unpredictable conditions. The Fiilex Dome Diffuser spreads and softens light, great for lighting people. Its compact design travels well and lets you get diffuse light in tight places where a softbox just won't fit, introducing different textures into your set-up. The dome uses our magnetic attachment system to easily pop on and off of your P360EX. 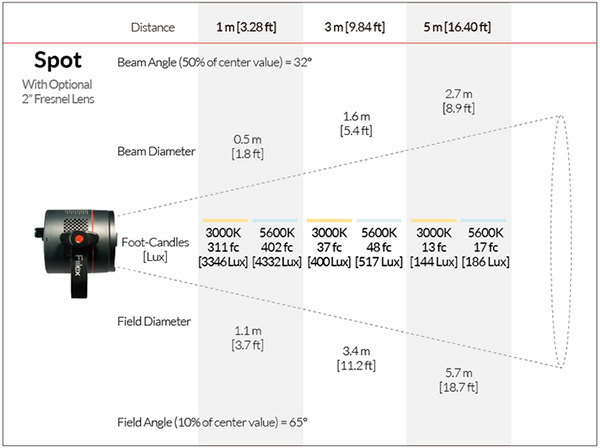 Get the most out of your P360EX by using the P2Q Converter, a modifier that attaches a 5" fresnel to the front of the light to narrow the beam angle to 14 degrees, increase the intensity by 8x, and to extend the throw of the light. The weather-resistant P360EX won the Professional Photographers Magazine's Hot Ones Award for Best Continuous Lighting System in 2014. Its high output, easy portability, remarkable light quality, and impressive ruggedness distringuished the P360EX as an exceptional new product. Fiilex LED's consistently place in the top tier of the Television Lighting Consistency Index (TLCI), meaning they reveal colour so accurately that they eliminate the need for colour correction.